I was getting out my cold weather gear a couple of weeks ago and realized that there was a time when I had no idea how to wash a down jacket. I would actually pay through the nose to get my down jackets cleaned at the dry cleaner and once got a jacket back with a broken zipper! 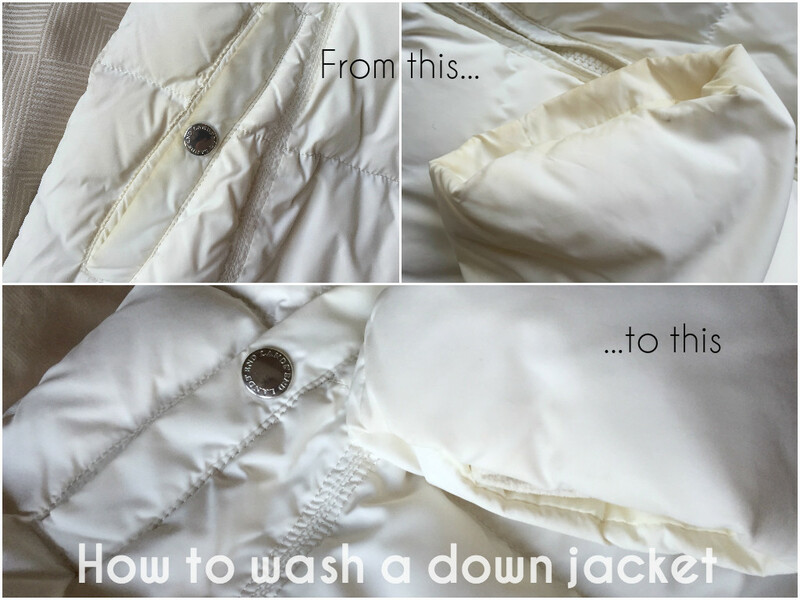 So I thought I’d walk you through the process and show you just how effective home laundering in your washing machine can be for down garments. Now, in an ideal world I would wash my down jackets before putting them away for the season. But in reality I am always so eager to make space in our tiny coat closet for summer wear that I end up sticking everything in the spare room closet, washed or not. But thanks to that I have a great example to work with. 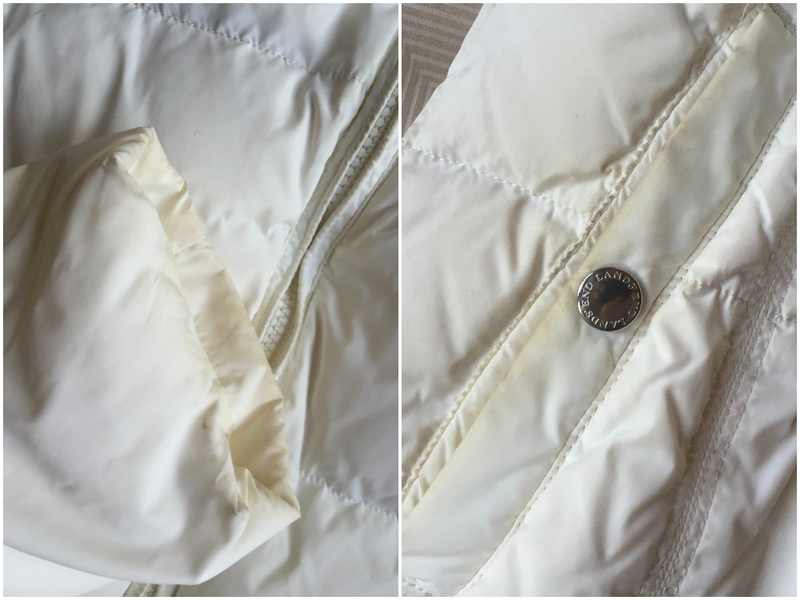 I always wondered why anyone would buy a white down jacket – how impractical, right? But then I saw this one on clearance at Land’s End for less than $30 and decided that even if it lasts me one season it would be worth it. And here we are 3 years later. This is a knee length down jacket that I lovingly call the “giant white caterpillar”. I mostly wear this down jacket on super cold weather dog walks, so it tends to get quite dirty (as you can see).